The music veteran and humanitarian Yvonne Chaka Chaka will be honoured for the fantastic work she does on the continent at the inaugural summit taking place on 28 August 2018 in Sandton. Affectionately known as The Princess of Africa across the world, Chaka Chaka is a champion for the Global Fund to fight AIDS, TB and Malaria, the United Nations MDG Envoy for Africa, and the Goodwill Ambassador for the Roll Back Malaria Partnership. Chaka Chaka has also founded her own charity, the Princess of Africa Foundation, using the name first given to her in Uganda. The Princess of Africa Foundation is a partner of the ACTION global health advocacy partnership. In 2012, she was the first African woman to receive the WEF's Crystal Award. Jabulile Gwala, Founder of In Good Company, said: “Yvonne Chaka Chaka personifies the kind of women we all aspire to be. We believe that following in her footsteps will encourage us to further contribute towards building the Africa of tomorrow”. American based actress, writer, producer, and web series creator. She first brought attention for her work on the YouTube web series Awkward Black Girl. She gained further recognition for creating, writing & starring in the HBO television series Insecure. She earned 2 Golden Globe Award Nominations for Best Actress. Issa stands for women and women operating together. She celebrates the connectivity of the black girl society. She is evident in her truth and continues to break boundaries. Thandiswa is one of the numerous influential South African Musicians of this generation. She started her career in 1998 with Bongo Maffin, one of the pioneering bands of Kwaito. After 6 award−winning albums with Bongo Maffin, she ventured onto a solo career. Zabalaza (2004), her debut project, reached double platinum status and won numerous awards and she critically lauded second album ‘Ibokwe’ (2009) reached gold status in the first few weeks of its release. Her third solo studio album is Belede (2016) is a compilation of reinterpretations of legendary South African Jazz and protest anthems from the 1950s and 1960s. Enhle Mbali Maphumulo burst onto the South African silver screen as a force of nature, endearing herself to the public as a sweetheart to the nation. Her talent and captivating personality have led to several notable onscreen roles, including lead characters in many of South Africa’s popular TV series including Tshisa, Broken Vows and Rockville. Enhle’s career has connected her to huge audiences through hit TV series such as iNkaba, My Family, 7nde Laan, Rhythm City, Moferefere Lenyalong, Soul City, and Those Who Can't Teach. Her charisma and infinite drive have firmly positioned Enhle as one of South Africa’s most famous and reputable actresses. Her talent as a Director and TV Presenter has seen her host Channel-O’s award-winning Young, Gifted and Black as well as ANN7’s weekly entertainment show Star Biz. The fashion world has also seen the meteoric rise of Enhle Mbali Maphumulo with two sell-out fashion collections. New York welcomed her maternity-focused fashion label SE Preggoz, while she continues to expand her fashion footprint with collaborative lines for men and women. SABC 1’s African mystery series Mtunzini saw Enhle’s rise to stardom at the age of seventeen, where she has continued to captivate great audiences as a multi-faceted talent. Xoliswa Daku is the CEO of DCI Holdings and Daku Group of Companies, focusing on property development, construction and facilities management, boasting a portfolio worth over R600 million. This lawyer-turned-property developer is building her empire, one skyscraper at a time. She is well respected in the industry, as being a finalist in the Property Sector of 2012's "Most Influential Women in Business Awards", identified by CEO magazine attest. She continues to actively influence and transform the property industry in South Africa. In 2013 she received the "BBQ Outstanding Women in Business Award" for her outstanding work as a businesswoman. 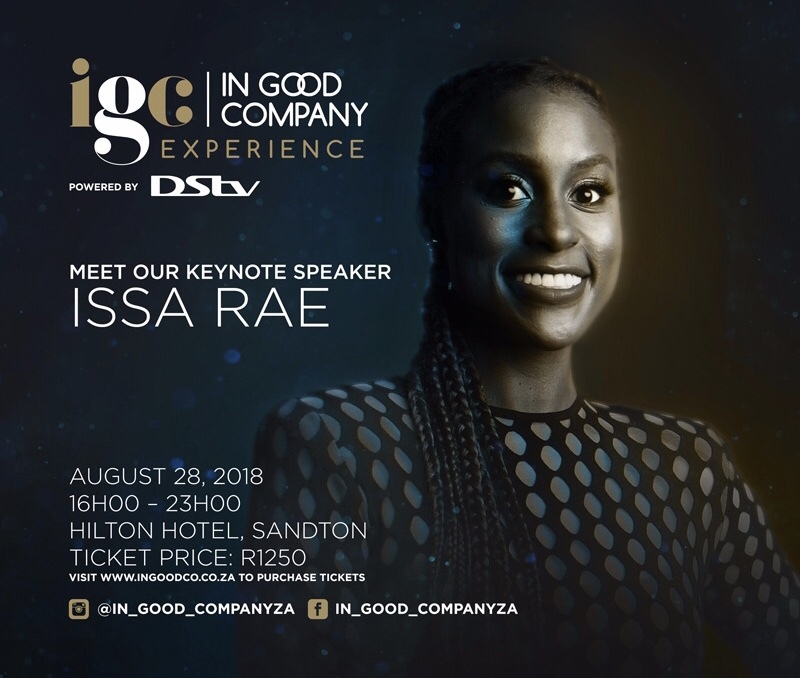 Last year she was bestowed with another three major awards: the Standard Bank Top Woman in Property Award, the WPN Business Woman of the Year Award, as well as the 2017 Top Performing Entrepreneur National Business Award. Mzamo’s role entails bringing to life Google’s mission to organise the world’s information and make it universally accessible and be useful so that Google’s users and partners can grow in Africa. He has an MBA from the Gordon Institute of Business Science (GIBS). He lectures at the AAA School of Advertising and serves on the GIBS advisory board. He previously held senior positions at Vodacom, Unilever and Nike. Masito founded and runs an NGO called African Men Care, which funds underprivileged children to further their studies. He is passionate about learning and what the power of education can do for the African people. He’s an advocate for diversity and building the African continent. Nivani is focused on helping small and medium enterprises grow their businesses through digital technology. Having consulted for Bain & Company, Standard Bank and Merrill Lynch, her background ranges from mergers and acquisitions, strategy, marketing, turnaround and operational improvement projects for large companies in Africa, to tech startups in Silicon Valley and Europe. She is passionate about enabling business growth and innovation and is happiest at the intersection of technology, entrepreneurship and social impact. Nivani has an MBA from the University of California, Berkeley (including the International Exchange Programme at London Business School), is a CFA charter holder and graduated with a Bachelor of Business Science (Honours in Actuarial Science) degree from the University of Cape Town. 2016’s IAB Bookmark Award winner and Marketer of the year winner, Charl Bassil has been at Pernod Ricard since 2013, after joining the company from SAB Miller. Mr Bassil is responsible for taking Pernod Ricard’s consumer-centric business model to new levels. Charl is part of the team that repositioned Absolut Vodka with an Afrocentric approach which has won the brand a Canne Lion Award. Charl is passionate about diversity and inclusivity. He has been instrumental in pioneering new growth strategies for the South African business using African stories. Armed with a Chartered Marketer South Africa CM(SA) qualification endorsed by the Marketing Association of South Africa MA(SA), TT Mbha is a passionate Real Estate Marketer with a 17 years award-winning professional career track record. Mr Mbha is the CEO of Black Real Estate which offers a full-service real estate sales, management, and a consulting agency will be part of the Property Management segment. Spanning over a period of 17 years, Mr Mbha has gained extensive experience in the field of Branding and Marketing having worked on various global and local brands including Sasol, Total SA, Edcon and Brandhouse. Award-winning actress, philanthropist, humanitarian and an advocate for women working together and supporting each other. Nomzamo became South Africa’s sweetheart through her role in the TV series Isibaya and has since starred in many movies & television shows. She has hosted many local shows and has equally made a name for herself on the international stage. She has carved her way to success by not competing with other women but rather creating her own lane and running her own race. She has a heart of gold and is a firm supporter of women working together. Multi-talented singer, songwriter, TV and Radio personality, this Grahamstown born Xhosa local is a true entertainment powerhouse. She has claimed dominance on our screens and our radio portals for the past 10 years as a presenter, host, judge and singer. She embodies authenticity, self-love and African pride. She believes in forgiveness as a gift to self. She belongs to Africa and has many great stories to tell about many of the African countries.